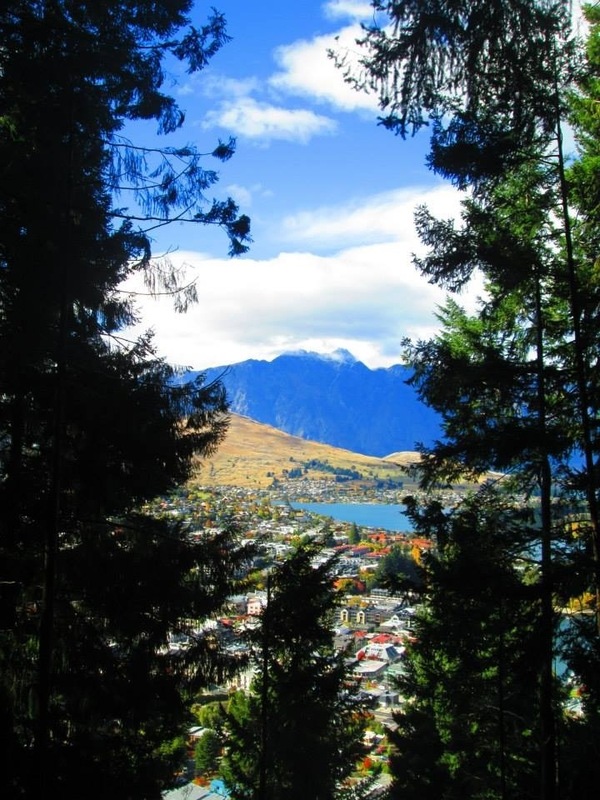 Ahhh Queenstown, what a place! There’s something about this magical, adventure filled, beautiful scenery, backpacker haven that makes you fall in love with it. Maybe the Fergburgers? I don’t know. But as soon as you arrive there is a complete buzz that takes over you and you just know you’re in for a good time. We stayed at base hostel with everyone else from our bus, it was right in the centre of town. Great location and had a Mexican bar downstairs which was good to pre drink in before a night out. The food in there was ok, the tacos were really tiny though, definitely wouldn’t fill you up. Before arriving in Queenstown I expected it to be extremely touristy, similar to Cairns maybe, with shop after shop of tours and trips. I was wrong though, I mean it definitely is touristy don’t get me wrong. But it has a big variety of shops, a shopping mall in fact including big store names like Peter Alexander, jay jays, cotton on and even higher end markets such as Louis Vuitton. I was surprised to see these to be honest, but then after spending some time here it isn’t just a place for backpackers, it has a wide mix of people who flock there. 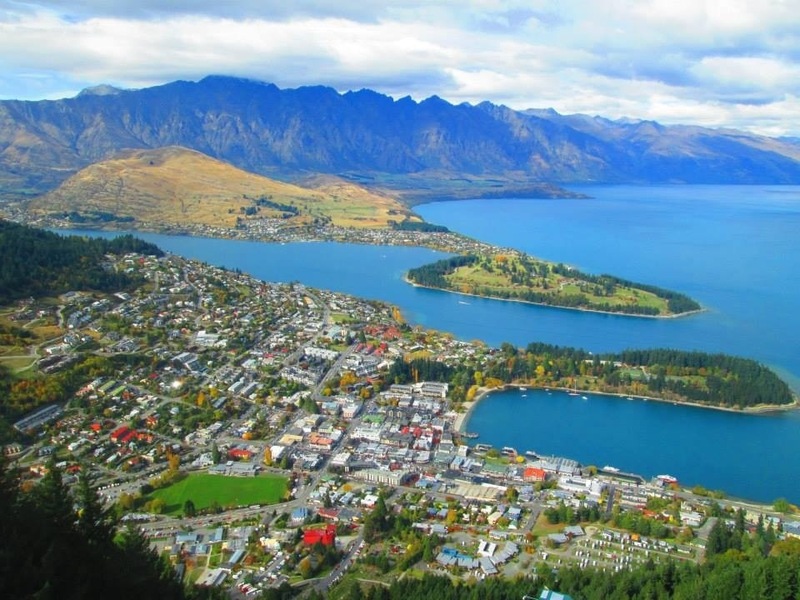 We did many activities in Queenstown, the main one everyone was excited for was the bungy jump. It was actually created there by a guy named AJ Hackett, we went to the place he did the first ever one which was cool. That one wasn’t so high though, the Nevis bungy on the other hand though was. I’m terrified of heights so no way could I chuck myself of a ledge from 134 metres in the air! I went with the jumpers across the cable wire into the jumping area. I was nearly crying just being in there, it was so scary! It had a glass bottomed floor, so below all you could see was the huge canyon they were jumping into. Everyone was so brave I can’t believe they did it. Next to the bungy was the Nevis swing, the biggest swing in the world – a 300m arc. 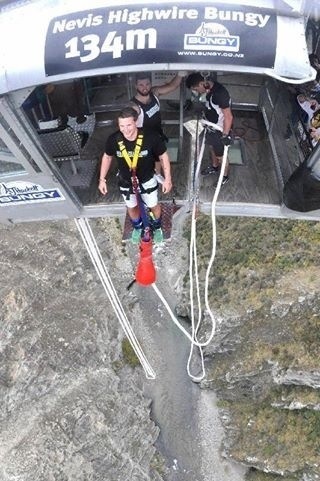 This wasn’t supposed to be as scary as the bungy, the jumpers thought it was just a bit of fun. Not for me though, oh my goodness it was the scariest thing ever. Tom and I went on together and he wanted to go backwards and upside down as the couple before us did that and it looked insane. First they move you off the ledge so your dangling mid air, then we had to try and get our feet up. I took one look down and couldn’t do it. After about 5 minutes of debating whether I could do it or not the guy in control just pressed the button and we were gone. After the drop it was actually really fun, we got the video after which is amusing to watch. We also did the shot over jet which was fun, a speedboat that takes you through the canyon at a mighty speed while getting frightfully close to the rocks and boulders. A few days before we did it, the royals were there, Wills and Kate. I sat in the same seat as her, no biggie. I would highly recommend the shot over jet if you go there, not too scary but definitely gives you a buzz! Queenstown is iconic for its gondolas, that take you right up to the top of the mountain for a magnificent view of the town. You can also hike up there too which we did, takes around 1 hour to complete, with such nice views on the way. At the top there is the chance to try out Luging. For those that don’t know what it is (I didn’t!) it’s kind of like go carts but not. To go you just pull forward on the handles, to stop you pull back. It’s really simple and a lot of fun. The view from the course is just amazing! 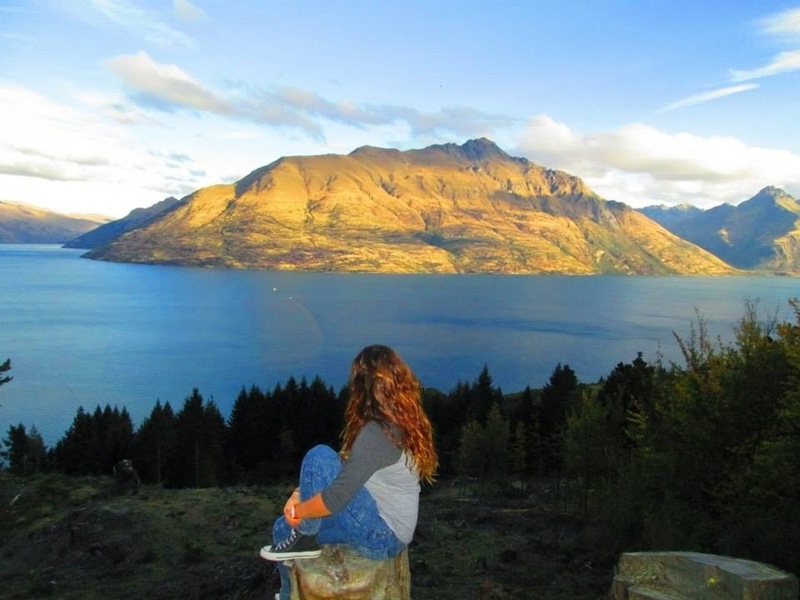 There’s literally so much you can do in Queenstown, we even went back a second time. 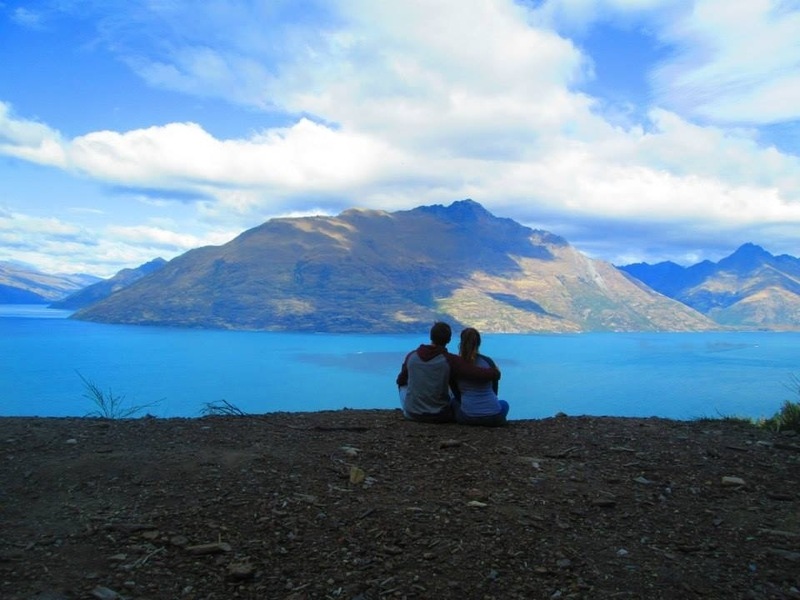 If you visit New Zealand, it’s a great place to go. I definitely would love to go back one day. 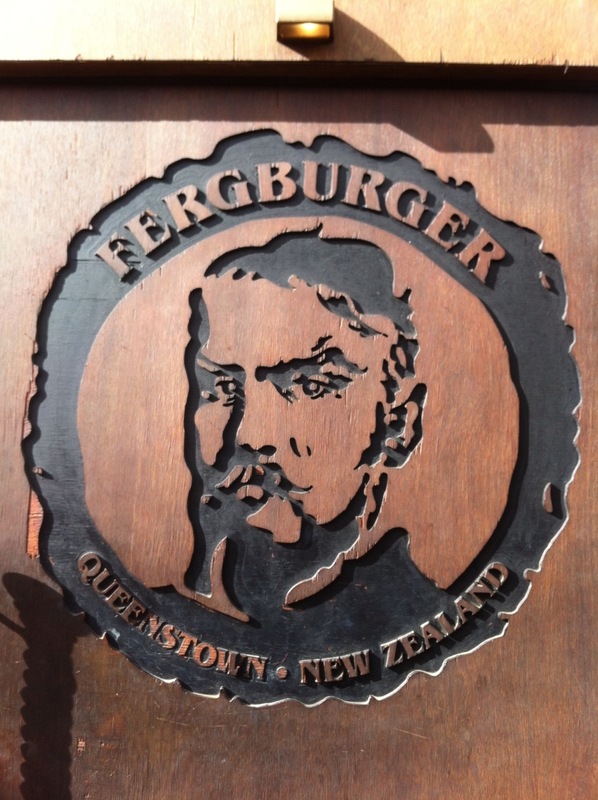 Also, if you visit you HAVE to try at least one Fergburger! Best burgers in the world!